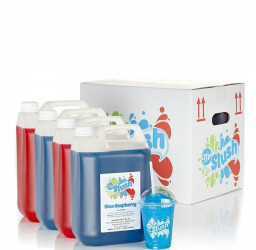 Slush syrup bundle purchase 9oz (270ml) size. 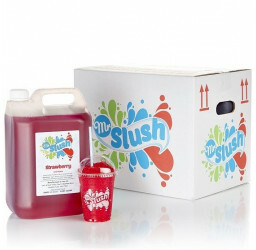 This special pack includes 2 cases of our Mr Slush syrup, 1,000 premium 9oz slush cups, 1,000 dome lids and 1,000 strawspoons. Get this next working day! Save money by buying your slush supplies in bulk. 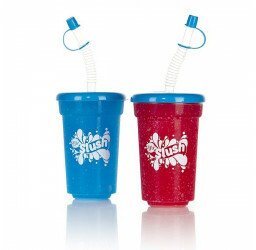 We offer several different slush drink size options. 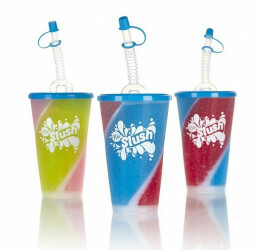 The slush cups are branded Mr Slush, clear plastic premium thick grade cups, each weighing 9g (industry standard being 7g). 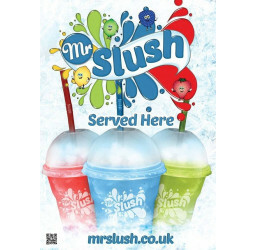 Our range of 16 flavours of slush syrups are made using only the highest grade premium ingredients with water to syrup concentrate mix of 6 to 1. 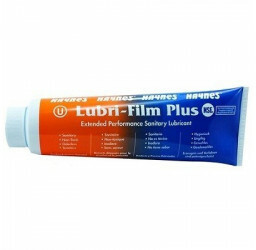 You are free to choose any flavours, just let us know in the comments box during checkout. 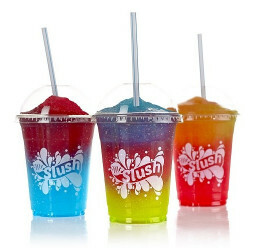 This bundle pack will serve up 1,100 slush drinks. 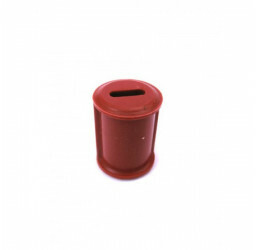 The average sell price for this 9oz size with the premium cup and dome lid is £1.00-£1.20 so this bundle will generate revenues of over £1,300.